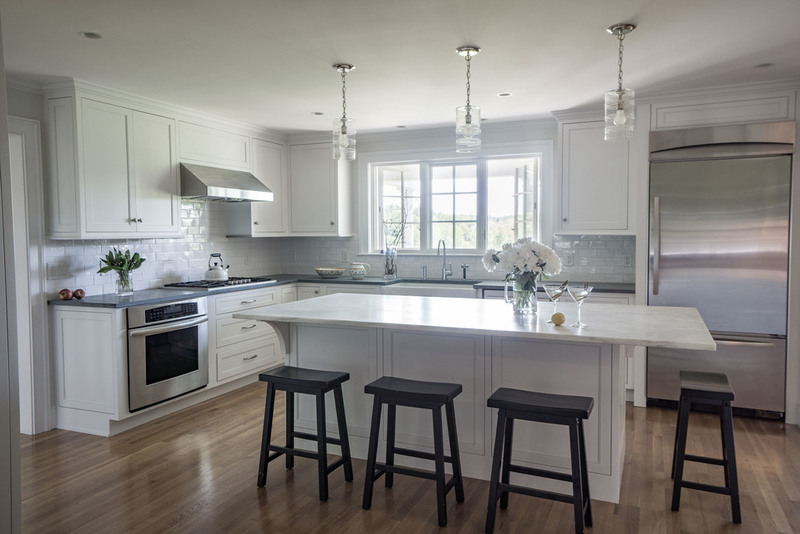 For clients that love to entertain, opening up the existing kitchen was key. By removing walls between the living room, dining room and wet bar, we achieved an open space with tons of storage and views of the countryside below. Custom cabinets to match existing allowed the clients to spend money on structural upgrades, and a new, gracious, customized mudroom. A key component of the new open plan was a custom modern sliding barn door to conceal the upstairs media room, allowing for sound insulation and privacy.